« My work is informed by the mystical and unknowable aspects in the natural world and the associations we make with it. 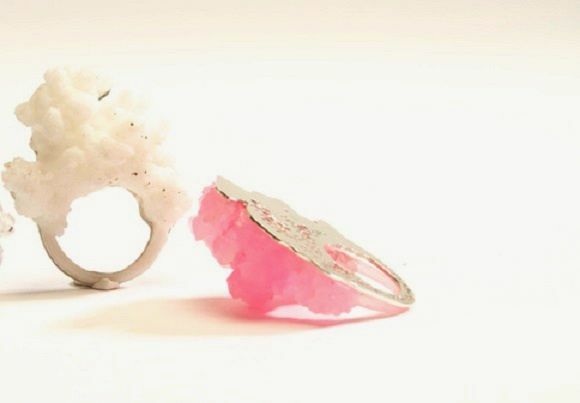 I am inspired by the fragility of sweet sugar crystal structures and the unpredictable manner in which they form. Growing sugar crystals necessitates giving over control of the design process to a material which grows unpredictably. For the wearer the crystals will change as the jewellery becomes embedded in their daily life and slowly disintegrates or chips away. 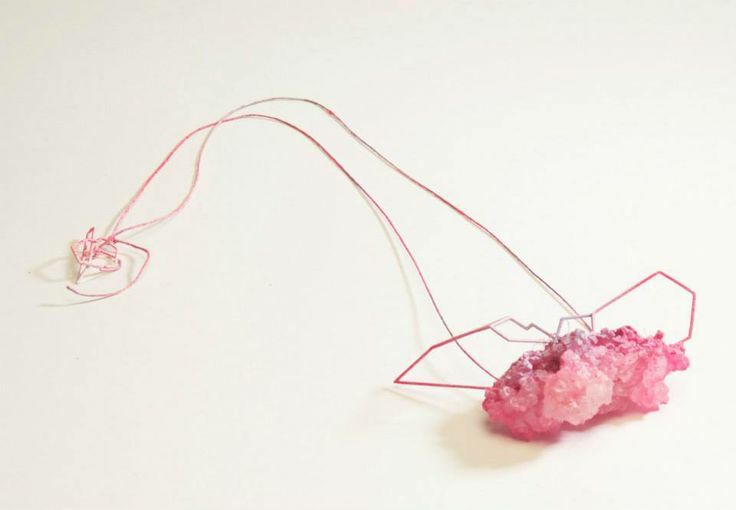 From the fully formed sugar crystals I play with the sensory aspects of materials, casting multiple structures from the original. Rosie Kimber Hinged Neckpiece – Brass, Sugar, Paint – Sugar crystals cluster over the hinges changing the final structure. Rosie Kimber Brooch – Yellow Precious Metal, White Precious Metal, Keum-boo, Resin, Pigment.